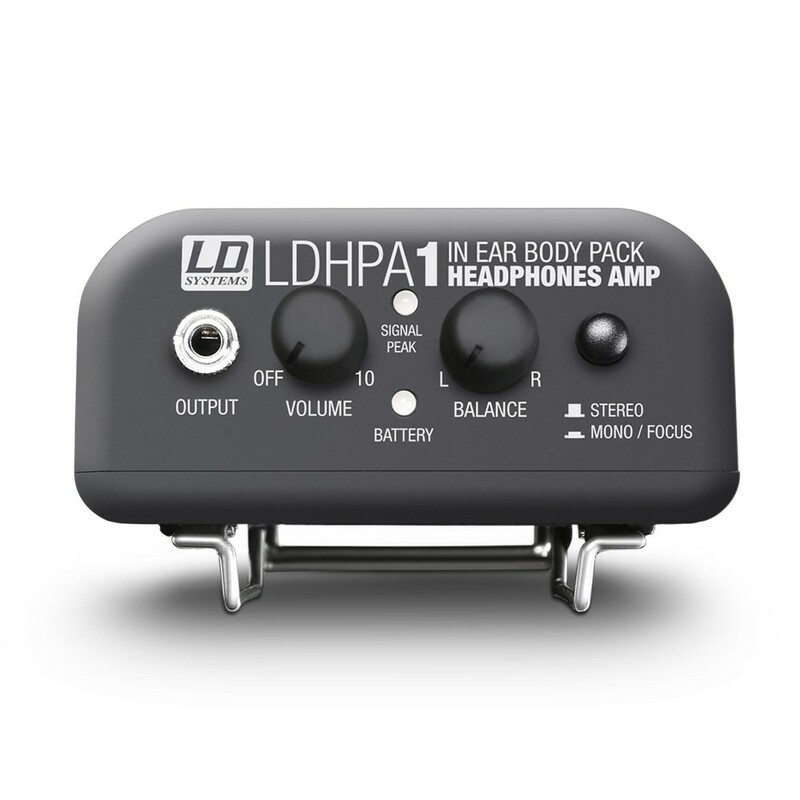 The LD Systems HPA 1 is a versatile headphone amplifier with high power output for stage, studio and home recording and is the perfect solution for wired in-ear-monitoring.. 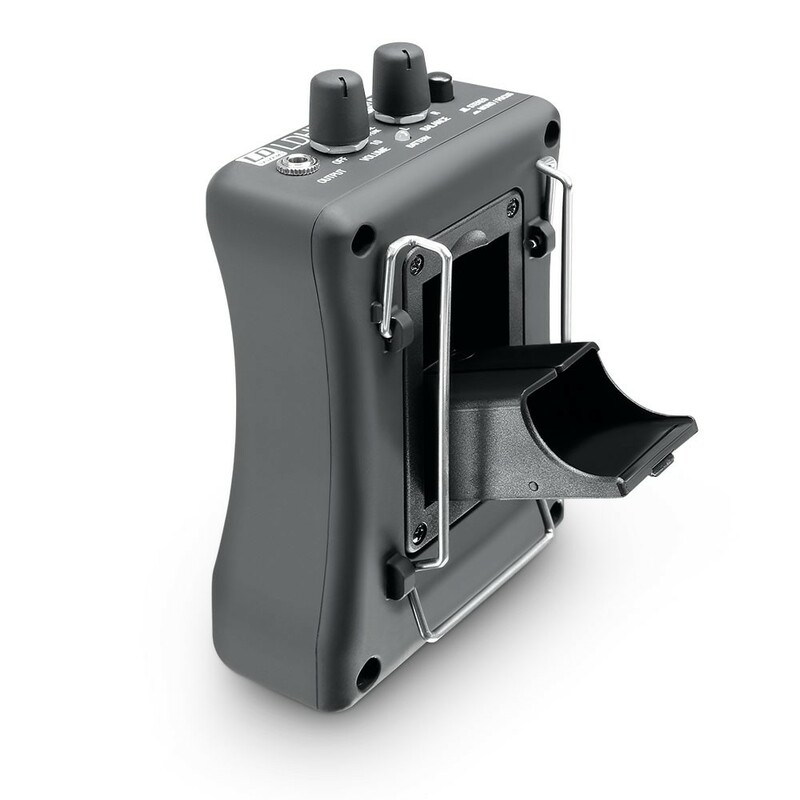 The compact device in a rugged, ergonomically shaped plastic housing with soft-touch surface and practical belt clip is very extensively equipped. 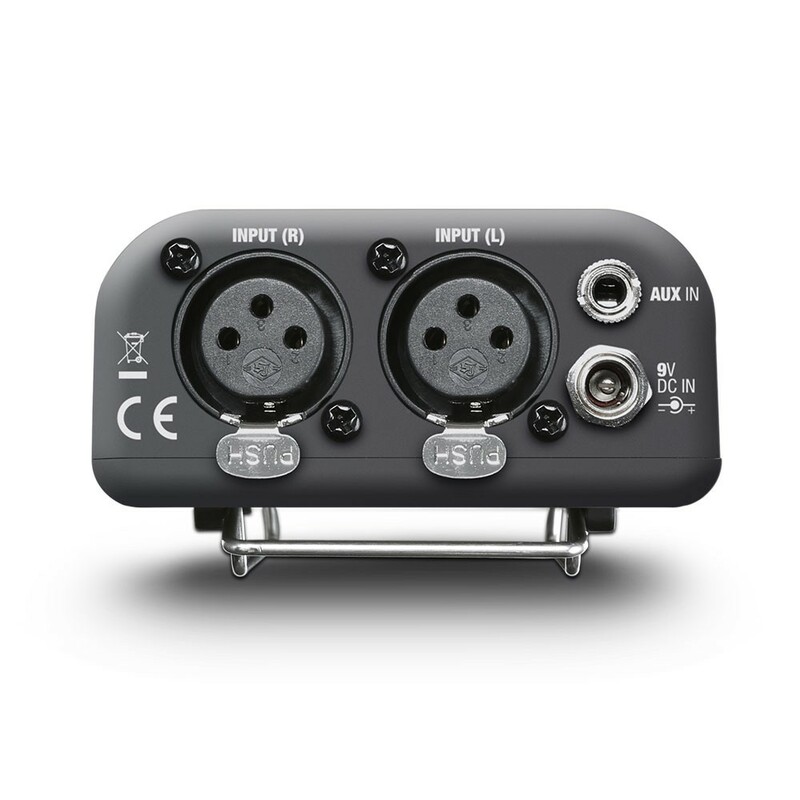 In addition to locking XLR connectors for the stereo signal L/R input, the HPA 1 has a balanced 3.5 mm stereo jack as AUX input, which can be used in parallel for clicks or playback. 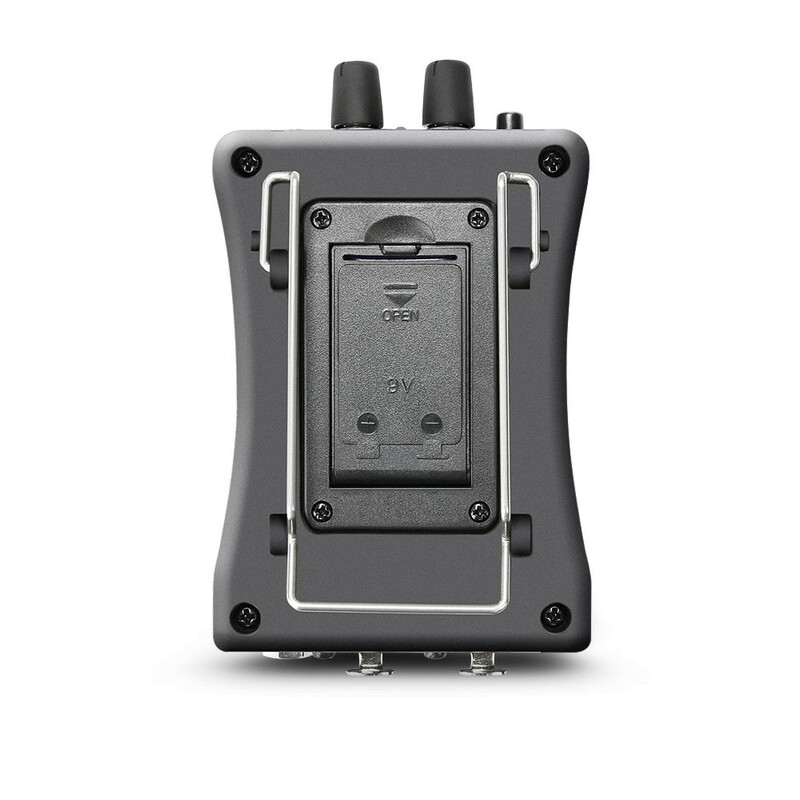 It is protected for safe operation against excessive input levels; a hollow pin socket with negative internal contact enables the connection of a network adapter for fixed operation. A 3.5 mm stereo jack is provided as earphone and headphone output. 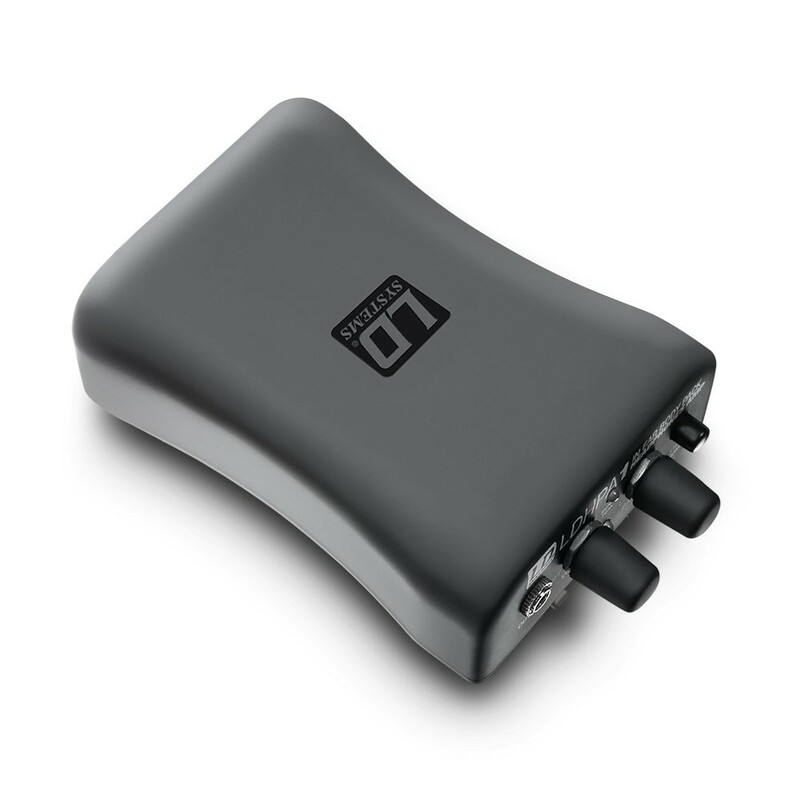 Volume level and balance can be set with easy-grip knobs, a push-button switches between the summed mono and stereo signals. 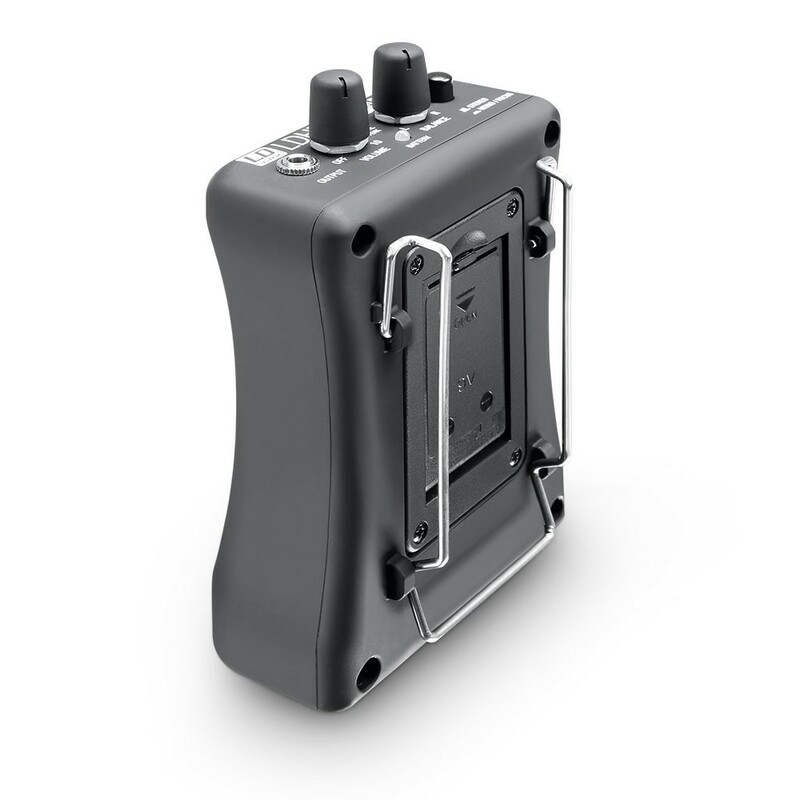 A full-fledged limiter is integrated for distortion-free playback and as protection against feedback. 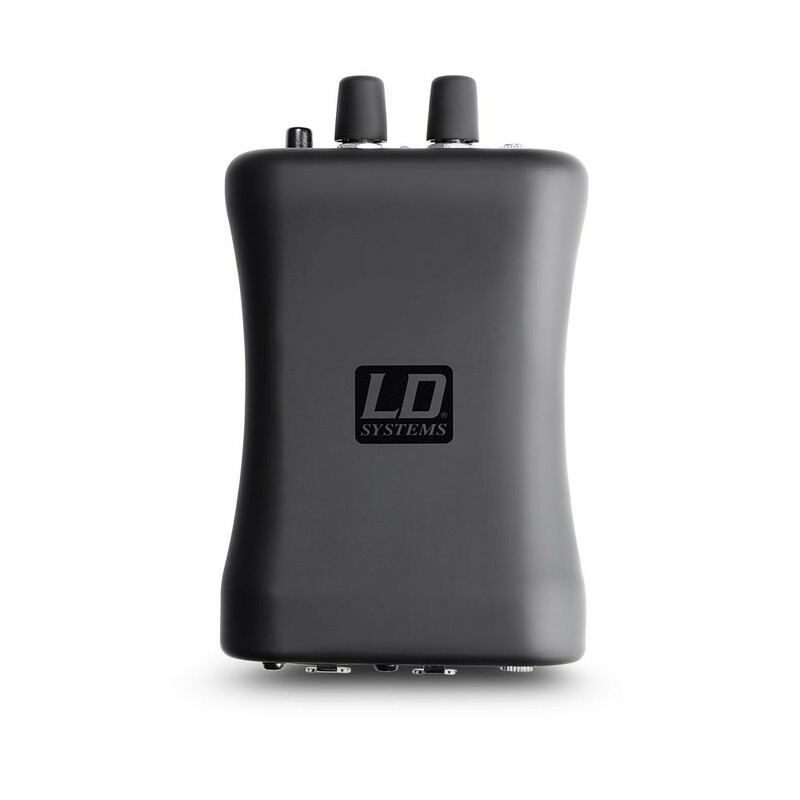 The LD Systems HPA 1 has bi-colour LEDs to facilitate the features overview, which displays the response of the limiter during peaks and the battery status. 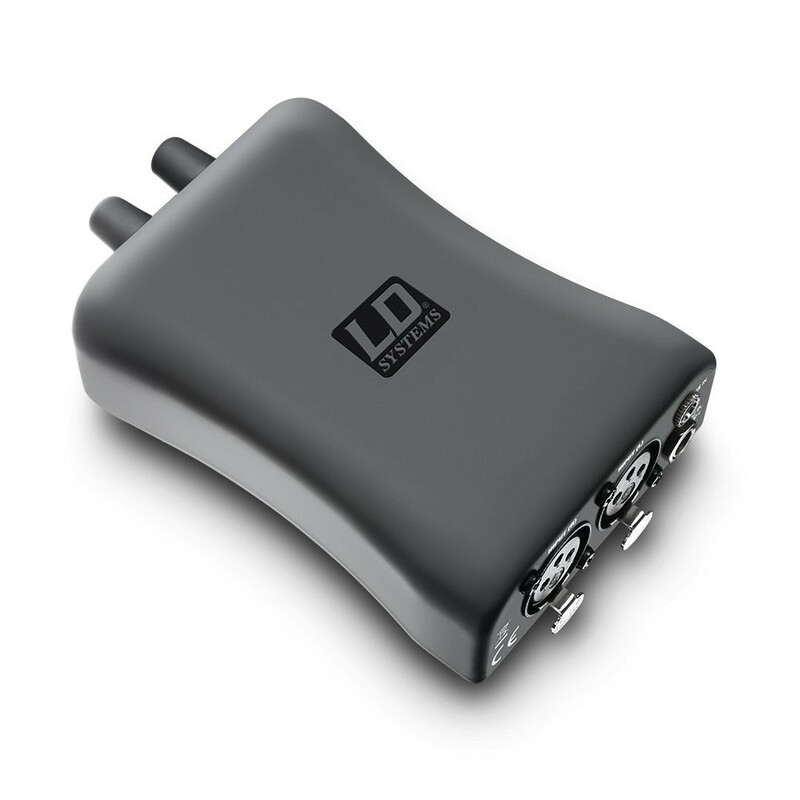 At 165 grams, the headphone amplifier is distinctly light-weight and can be operated for up to 12 hours thanks to a high quality 9 V block battery.